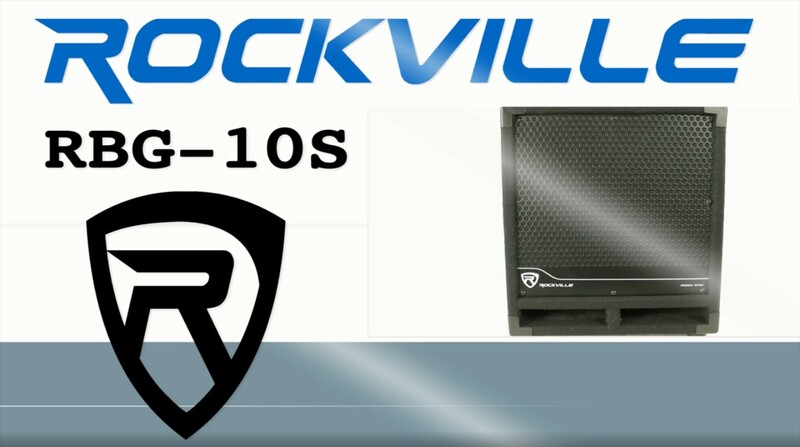 The RBG10S is the most compact size subwoofer in the RBG series. But do not be fooled by the size. This compact subwoofer puts out big power. We use a 70 Oz magnet and a 2" voice coil in this bad boy. We actually use a larger magnet than most brands put in their 15" subs. With 1200 watts of peak power, 600 watts program power and 300 watts RMS, this subwoofer is an amazing value at only $164.95. This subwoofer has the amplifier built in, so setup is quick and easy. This powered subwoofer is perfect for DJ applications and pro audio applications. Some of our customers even use these for house parties. It is a bit overkill for a home theater application, but you can always turn down the volume. The sound quality is amazing, so if you are using this in your house you will be pleased with the sound. The built in Clip limiter circuitry protects the sub from getting damaged. This sub has polarity controls, a low pass crossover frequency control and a volume control. The rear of the unit has 1/4" and XLR combo input jacks and an XLR output. The built in pole mount socket allows you to purchase any pole and connect a PA speaker to this. The enclosure is vented and made of high quality 5/8" birch wood construction. The sub enclosure is protected with metal corners and a metal custom grill. The built in carry handles make this very portable. This item is 110/220 compatible so it can be used worldwide if you travel a lot. Built-in Limiter Circuit automatically detects signal is being overdriven so that it does not clip and distort. Dimensions: 13.5" x 14.2" x 15.75"